Edo State Governor Godwin Obaseki spoke yesterday on All Progressives Congress (APC) National Chairman, Adams Oshiomhole’s quarrel with some governors. He said the governors are just opposed to Oshiomhole because of the change the embattled chairman was introducing to the party. Obaseki was made the state governor by Oshiomhole. 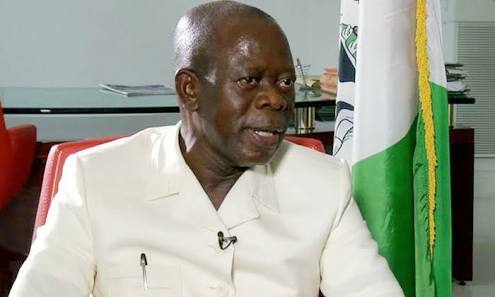 “What Oshiomhole is doing is to institute a regime of change where nobody is above the law,” he said. Obaseki, who spoke in Benin City at the Church of God Mission during a thanksgiving service to mark his second year in office, did not name any governor, but Ogun State Governor Ibikunle Amosun and Imo State Governor Rochas Okorocha have been locked in a row with Oshiomhole over the party’s primaries. Oshiomhole has been at loggerheads with Okorocha, who is pushing for his son in-law to be the party’s governorship candidate. Amosun is also not pleased that his candidate for the party’s ticket did not get it, due to alleged conspiracy between Lagos and Abuja.